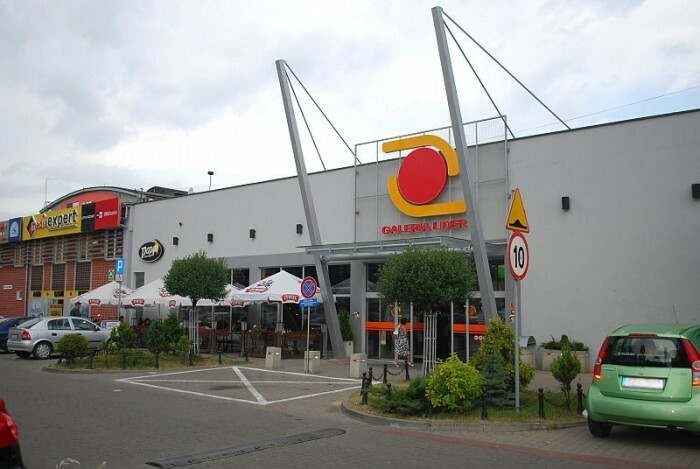 Galeria Lider is the largest shopping centre to be found in Żywiec and the town’s surrounding areas. It is situated in the very heart of the town. The convenient location of the shopping centre makes it not only a great place to do your daily shopping but also a place where you can stop for a moment to order food and drinks from the menus of its restaurants and cafes to restore your energy during the day. The centre is home to dozens of shops with a carefully selected range of products offering both Polish and foreign popular and well-known brands all in one place to make your shopping a pleasant experience. Galeria LIDER is located in the centre of Żywiec between the streets of Zielona and Stefana Żeromskiego. It is about 300 meters away from the town's high street (ul. Kościuszki). Żywiec Old Town Square, a marketplace, an ambulance station, and several schools are all in its close vicinity. There is also a bus stop in ul. Stefana Żeromskiego with over a dozen bus lines into all of Żywiec’s districts. Galeria LIDER has a very convenient location and can be reached within 5 minutes by about 20,000 residents of Żywiec and quite easily within 10-15 minutes by the other 15,000 residents of the town. Żywiec is a town in Silesia Province, Southern Poland. The town stands at the junction of many roads leading to Korbielów (border crossing), Sucha Beskidzka, the eastern town of Wadowice and the western border crossing town of Zwardoń. The town has many buildings of unique historical and architectural interest. These include its most prized treasures: the 15th century Old Castle with its arcaded courtyards, cathedral church, the 15th century Church of the Holy Cross and the Habsburgs’ Palace built in the second half of the 19th century. The Palace and the Castle are located in a beautiful park, which was redesigned and landscaped into an English landscape park in the first half of the 19th century. The Chinese House is another unique building to be found in the park. Żywiec is also well-known for its old brewery and its world famous beer.